In the previous post I examined how Red Hat Network (RHN) Satellite could be integrated with ManageIQ Enterprise Cloud Management (ECM). With this integration in place Satellite could provide ECM with the content required to install an operating system into a virtual machine and close the loop in ongoing systems management. This was just a first look and there is a lot of work to be done to enable discovery of RHN Satellite and best practice automation out of the box via ECM. That said, the combination of ECM and RHN Satellite provide a solid foundation for proceeding to use cases higher in the stack. With this in mind, I decided to attempt automating a self-service deployment of OpenShift using ManageIQ ECM, RHN Satellite, and puppet. They were built for Fedora and OpenShift Origin and I am using RHEL6 with OpenShift Enterprise. Because of this they defaulted to using newer rubygems that weren’t available in openshift enterprise yet. 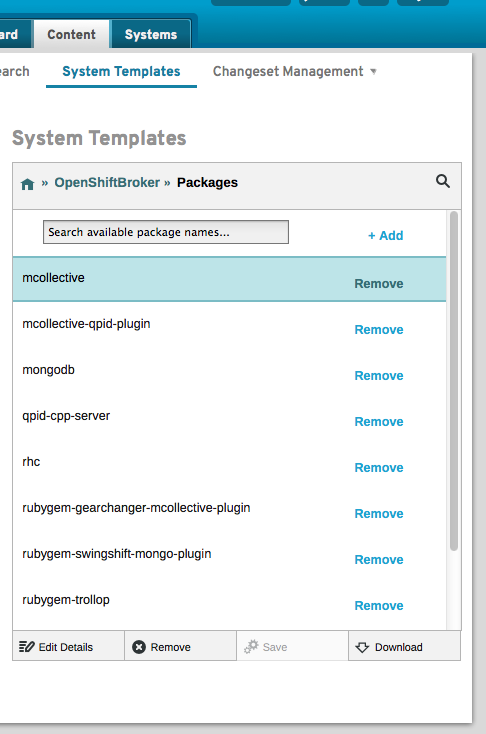 It took a little time to reverse engineer the puppet modules to understand exactly what they were doing and tweak them for OpenShift Enterprise. The OpenShift Origin puppet module leveraged some other puppet modules (stdlib, for example), so the puppet module tool (PMT) was needed which is not available in core puppet until > 2.7. Of course, the only version of puppet available in EPEL for RHEL 6 was puppet-2.6. I pulled an internal build of puppet-2.7 to get around this, but still required some packages from EPEL to solve dependencies. 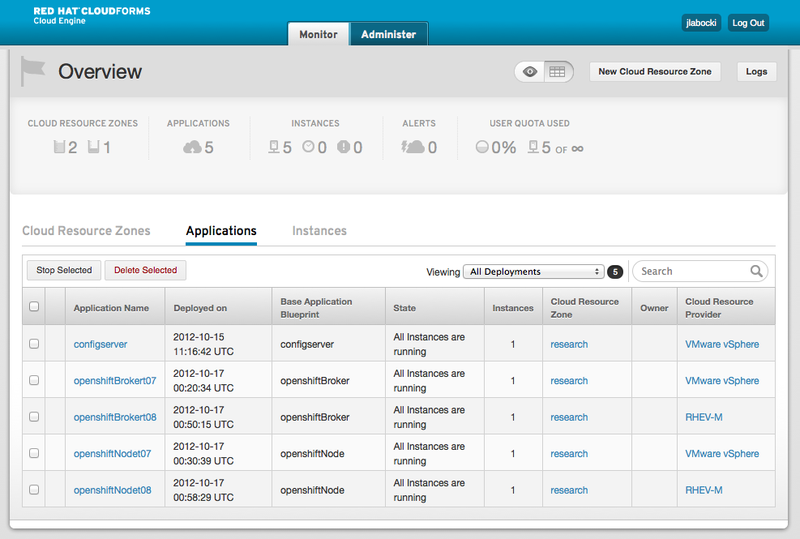 Other then that, I was able to reuse much of what already existed and deploy OpenShift Enterprise via ManageIQ ECM. How does it work? Very similar to the Satellite use case, but with the added step of deploying puppet and a puppet master onto the deployed virtual machine and executing the puppet modules. If you are curious how the puppet modules work, here is a diagram that illustrates the flow of the openshift puppet module. Here is a screencast of the self-service deployment in action. There are a lot of areas that can be improved in the future. Here are four which were top of mind after this exercise. First, runtime parameters should be able to be passed to the deployment of virtual machines. These parameters should ultimately be part of a service that could be composed into a deployment. One idea would be to expose puppet classes as services that could be added to a deployment. For example, layering a service of openshift_broker onto a virtual machine would instantiate the openshift_broker class on that machine upon deployment. 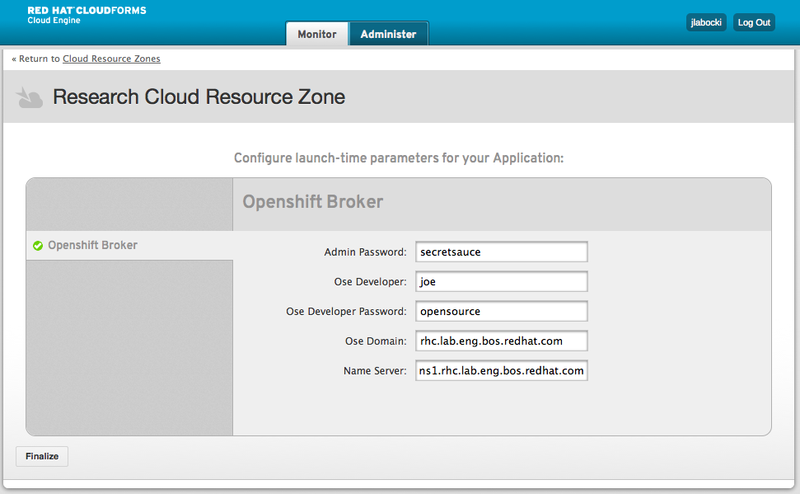 The parameters required for openshift_broker would then be exposed to the user if they would like to customize them. Second, gears within OpenShift – the execution area for applications – should be able to be monitored from ECM much like Virtual Machines are today. The oo-stats package provides some insight into what is running in an OpenShift environment, but more granular details could be exposed in the future. Statistics such as I/O, throughput, sessions, and more would allow ECM to further manage OpenShift in enterprise deployments and in highly dynamic environments or where elasticity of the PaaS substrate itself is a design requirement. Third, building an upstream library of automation actions for ManageIQ ECM so that these exercises could be saved and reused in the future would be valuable. While I only focused on a simple VM deployment in this scenario, in the future I plan to use ECM’s tagging and Event, Condition, Action construct to register Brokers and Nodes to a central puppet master (possibly via Foreman). The thought is that once automatically tagged by ECM with a “Broker” or “Node” tag an action could be taken by ECM to register the systems to the puppet master which would then configure the system appropriately. All those automation actions are exportable, but no central library exists for these at the current time to promote sharing. Fourth, and possibly most exciting, would be the ability to request applications from OpenShift via ECM alongside requests for virtual machines. This ability would lead to the realization of a hybrid service model. As far as I’m aware, this is not provided by any other vendor in the industry. Many of the analysts are coming around to the fact that the line between IaaS and PaaS will soon be gray. Driving the ability to select an application that is PaaS friendly (python for example) and traditional infrastructure components (a relational database for example) from a single catalog would provide a simplified user experience and create new opportunities for operations to drive even higher utilization at lower costs. I hope you found this information useful. As always, if you have feedback, please leave a comment! Businesses continually seek to increase flexibility and agility in order to gain competitive advantage and reduce operating cost. The rise of public cloud providers offers one method by which businesses can achieve lower operating costs while gaining competitive advantage. Public clouds provide these advantages by allowing for self-service, on-demand access of compute resources. While the use of public clouds has increased flexibility and agility while reducing costs, it has also presented new challenges in the areas of portability, governance, security, and cost. With Red Hat CloudForms, businesses no longer have to choose between providing flexibility and agility to end users through the use of cloud computing or maintaining governance and control of their IT assets. Red Hat CloudForms is an open hybrid cloud management platform that delivers the flexibility and agility businesses want with the control and governance that IT requires. 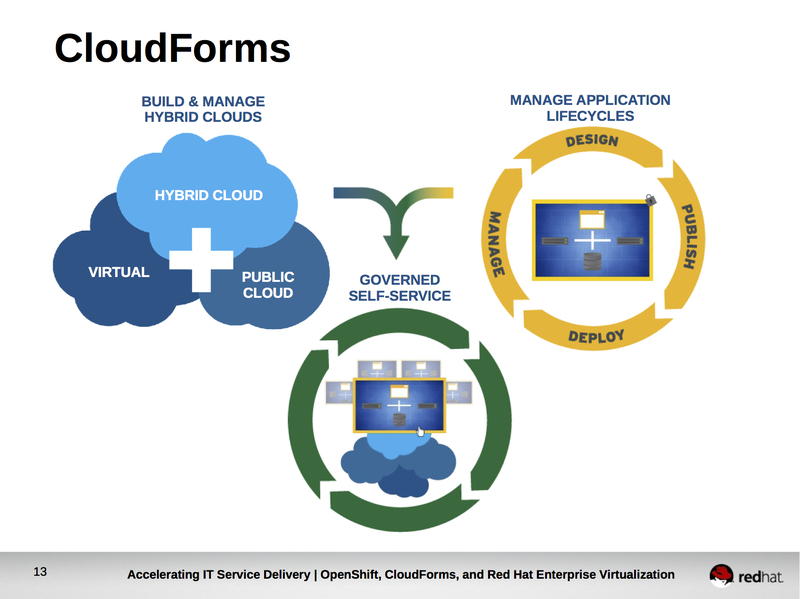 Organizations can build a hybrid cloud that encompasses all of their infrastructure using CloudForms and manage cloud applications without vendor lock-in. This document explains how CloudForms meets the challenges that come from letting users serve themselves, while maintaining control of where workloads are executed and ensuring the life cycle is properly managed. IT organizations are able to help their customers better utilize the cloud or virtualization provider that best meets the customer’s needs while solving the challenges of portability, governance, security, and cost. Platform-as-a-Service, or PaaS, solutions in public clouds are flexible and fast, and can meet growing business demand. However, public PaaS lacks needed privacy and compliance features. OpenShift Enterprise by Red Hat, Red Hat Enterprise Virtualization, and Red Hat CloudForms use an open approach for PaaS. Red Hat customers enjoy agile development, with greater availability, scalability, and control over their infrastructure. OpenShift Enterprise utilizes a multi-tenant cloud architecture that streamlines application service delivery. Developers are free to choose the right tools and focus on what they do best—writing code. 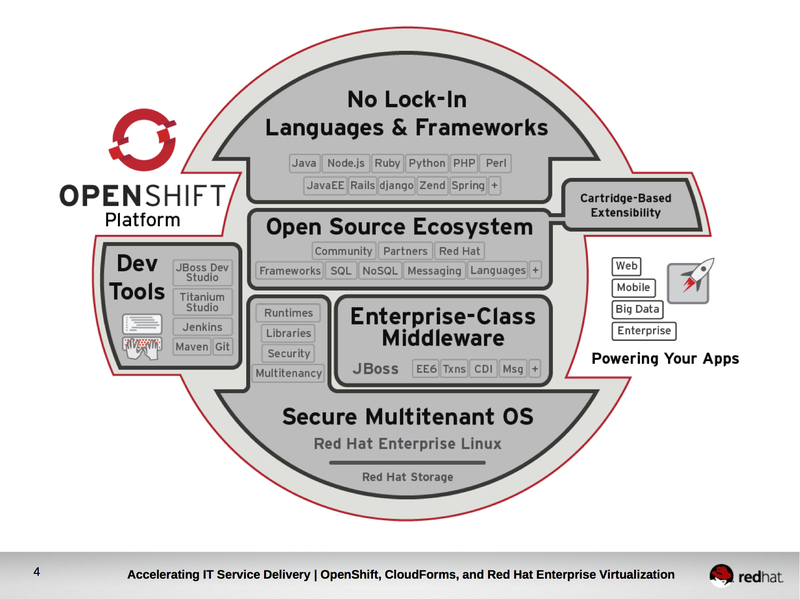 With OpenShift Enterprise, language runtimes are standardized and open. Code, once written, is widely deployable while other PaaS providers use proprietary hooks that limit portability. OpenShift Enterprise is built on Red Hat Enterprise Linux—the same software handling millions of dollars daily in trades and analysis. Red Hat Enterprise Linux supports all major hardware platforms and thousands of applications. It provides portability between physical systems, virtual machines, and private, public, and hybrid clouds. Red Hat Enterprise Linux runs best on Red Hat Enterprise Virtualization uses the powerful and ubiquitous Kernel-based Virtual Machine (or KVM) hypervisor and oVirt, a virtualization management platform. Both KVM and oVirt are successful open source projects led by Red Hat. KVM has achieved industry-leading virtualization performance benchmarks and the highest government security certification. While Red Hat Enterprise Virtualization is the best foundation for running Red Hat Enterprise Linux and OpenShift Enterprise, Red Hat believes that a truly open hybrid cloud must be portable across all resources. 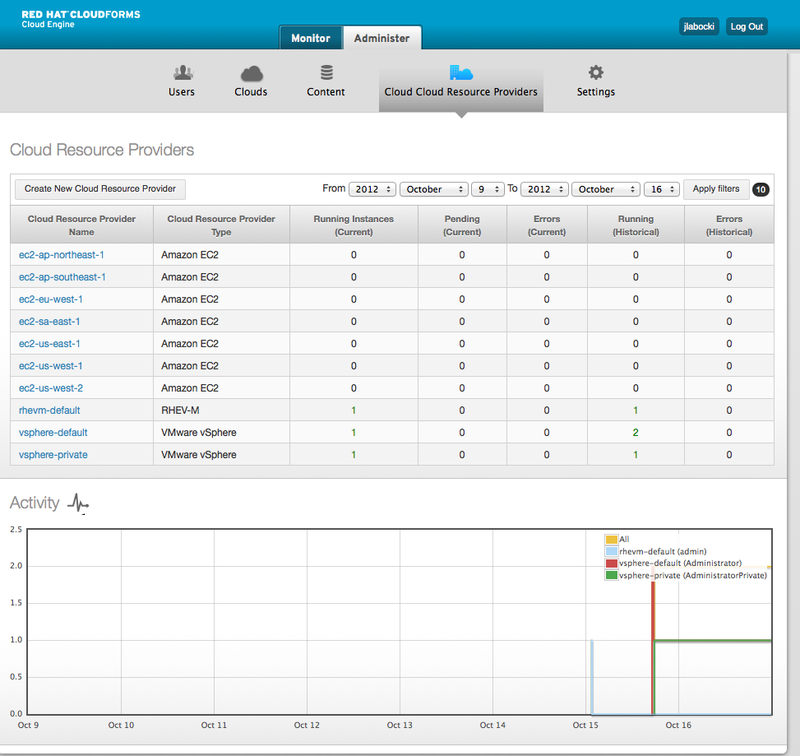 CloudForms provides resource and systems management for hybrid Infrastructure as a Service clouds. By abstracting resources and creating application blueprints, system administrators can deploy OpenShift Enterprise across supported providers, update underlying instances of Red Hat Enterprise Linux, and track systems—all through a self-service portal. This leaves developers free to focus on projects that provide business value. OpenShift Enterprise, Red Hat Enterprise Virtualization, and Red Hat CloudForms can improve performance, scalability, and reliability for enterprise cloud deployments–without relying on proprietary lock-in or hooks that restrict development and flexibility. Red Hat solutions are a strategic choice for organizations looking to achieve an open hybrid cloud. If you find this post interesting and would like to learn more about how Red Hat’s cloud solutions are optimizing IT be sure to register for the Optimizing IT Virtual Event which takes place on December 5th, 2012 at 11:00AM EST and December 6th, 2012 at 9:00AM EST. Organizations are continually seeking ways to accelerate IT service delivery in order to deliver greater business value while simultaneously increasing flexibility, consistency, and automation while maintaining greater control. Platform as a Service (PaaS) provides organizations faster delivery of applications to their stakeholders by automating many of the routine tasks associated with application development and providing standardized runtimes for applications. This results in developers being able to focus on writing code rather then performing mundane tasks that do not add value. 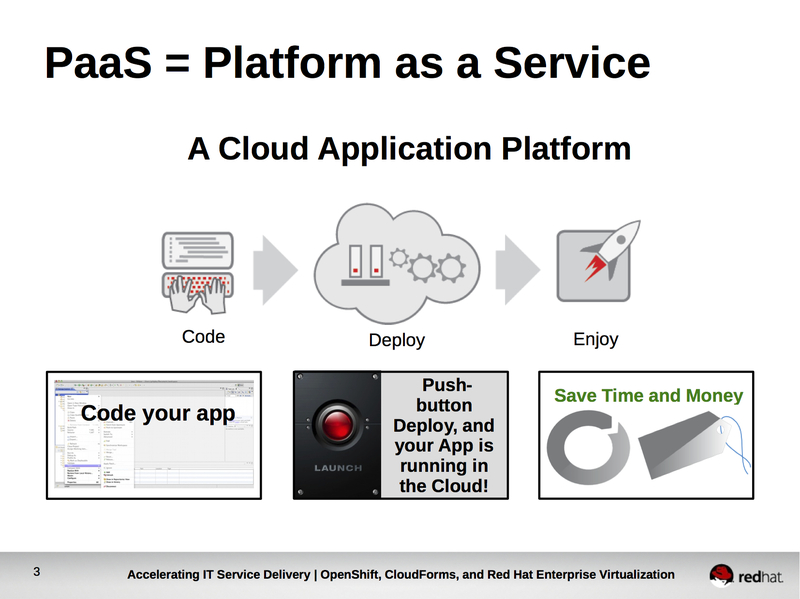 OpenShift is Red Hat’s PaaS. OpenShift provides access to a broad choice of languages and frameworks, developer tools, and has an open source ecosystem which gives voice to the community and partners who work with Red Hat on OpenShift. Languages and Frameworks in OpenShift are delivered as cartridges and OpenShift provides the ability to extend cartridges to include customized cartridges. 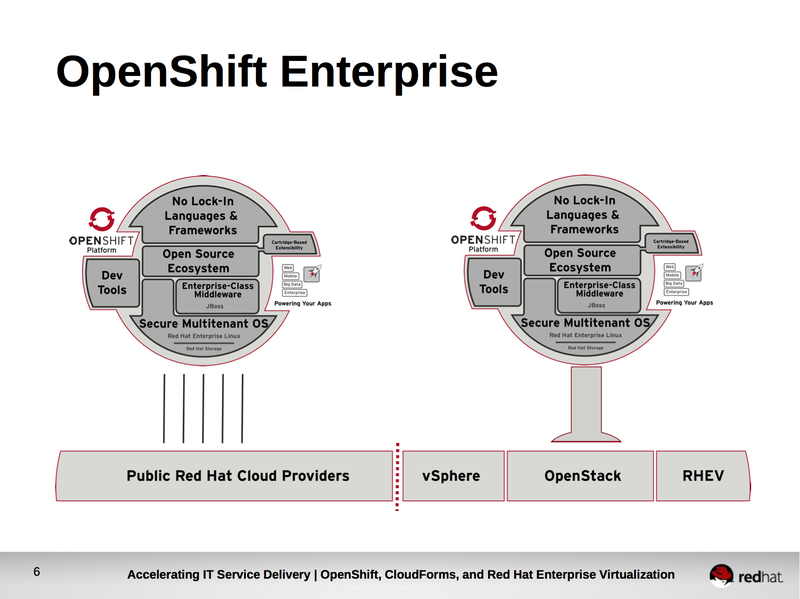 Finally, and perhaps most importantly for the purposes of our topic today, OpenShift leverages Red Hat Enterprise Linux as the underlying operating system in delivering PaaS. This is important not only because Red Hat Enterprise Linux is highly certified and has a proven track record for handling mission critical workloads, but because Red Hat Enterprise Linux runs just about anywhere – including on thousands of physical systems, virtual infrastructure, and certified public clouds. It also provides OpenShift with access to some great underlying technologies that are native to Linux like LXC, SELinux, and Control Groups which provide secure multi-tenancy and fine grain resource control without the need to reinvent the concepts from scratch. 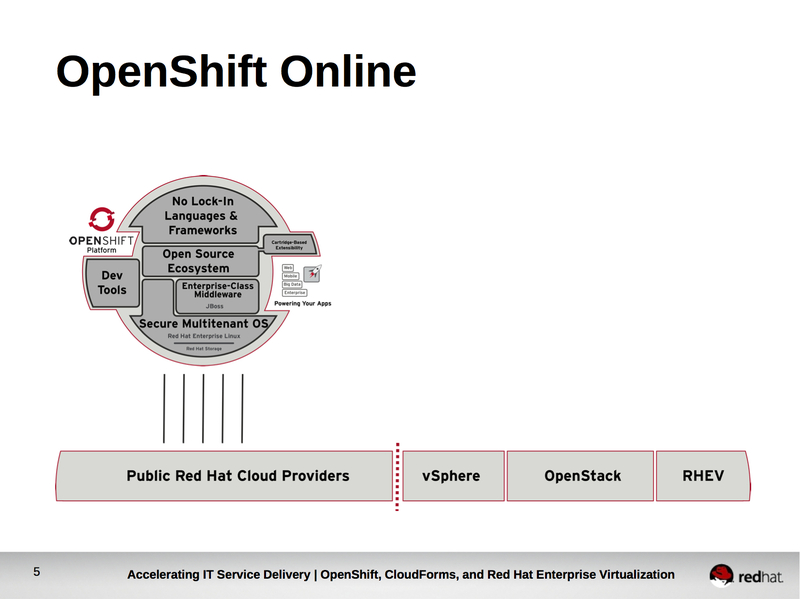 Red Hat first offered access to it’s OpenShift PaaS as a hosted service, now named OpenShift Online, starting in May, 2011. For roughly 18 months, Red Hat worked on honing OpenShift while it hosted thousands of applications in OpenShift Online. During this time, an ever increasing demand was building from IT organizations who wanted to replicate the success of OpenShift Online in their own datacenters. For this reason, Red Hat released OpenShift Enterprise – an on-premise offering of OpenShift which allows IT organizations to accelerate IT service delivery in their own datacenter in the same way organizations did in the public cloud with OpenShift Online. OpenShift Enterprise was the first comprehensive on-premise PaaS offering for enterprises in the industry, and it is a big game changer. When an organization wants to adopt OpenShift Enterprise there are several decisions they must consider carefully. First, they must decide what will host the Red Hat Enterprise Linux that serves as a foundation to OpenShift. Should they use physical hardware, virtual machines, or do they want to run in a public cloud? The correct decision will be different for each organization based on their specific requirements. Furthermore, in the rapidly evolving IT landscape, organizations will likely want to change the underlying infrastructure their PaaS runs on top of relatively frequently. Take, for example, the rise of Red Hat Enterprise Virtualization backed by KVM as a highly secure and industry performance leading open source hypervisor. It is important that organizations maintain flexibility in being able to deploy OpenShift Enterprise to a choice of infrastructure while maintaining consistency of their deployments of OpenShift Enterprise at each provider. Second, how will OpenShift Enterprise be deployed onto the foundation of Red Hat Enterprise Linux? An organization may decide that OpenShift Enterprise will be deployed in one large pool that is equally distributed to all end users. The organization may, however, decide to split OpenShift Enterprise into smaller deployments based on it’s decided application lifecycle workflow (For example, Development, Test, and Production OpenShift Enterprise deployments). Each deployment of OpenShift Enterprise requires installing software and configuring it. These redundant (and often mundane) tasks should be automated to reduce time to deploy and the risk of human error. 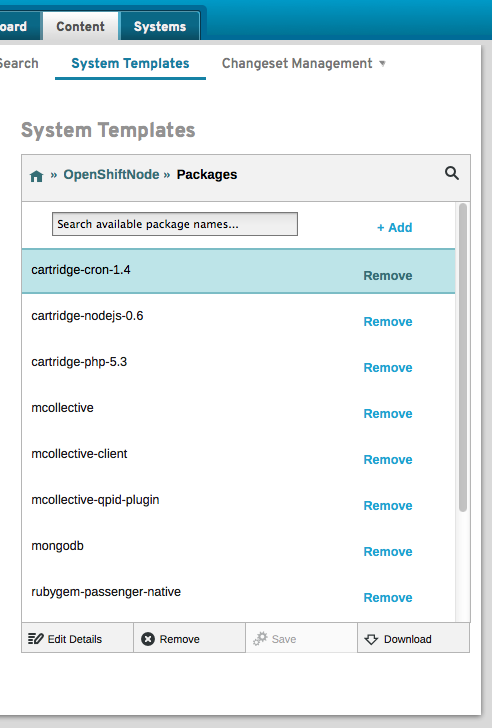 Third, which cartridges (languages and frameworks) will be made available to the users of OpenShift Enterprise? It is likely that an organization would desire to allow developers access to a broad choice of languages in a development environment, but limit the use of frameworks and languages in test and production to those that are certified to the organization’s standards. It is important for organizations to be able to control which cartridges are available and installed within each OpenShift Enterprise deployment. While organizations want to accelerate IT service delivery by utilizing an on-premise PaaS they desire to do so in a flexible yet consistent manner which allows for choice of infrastructure, while leveraging automation and controlling what languages and frameworks users of the PaaS can utilize. 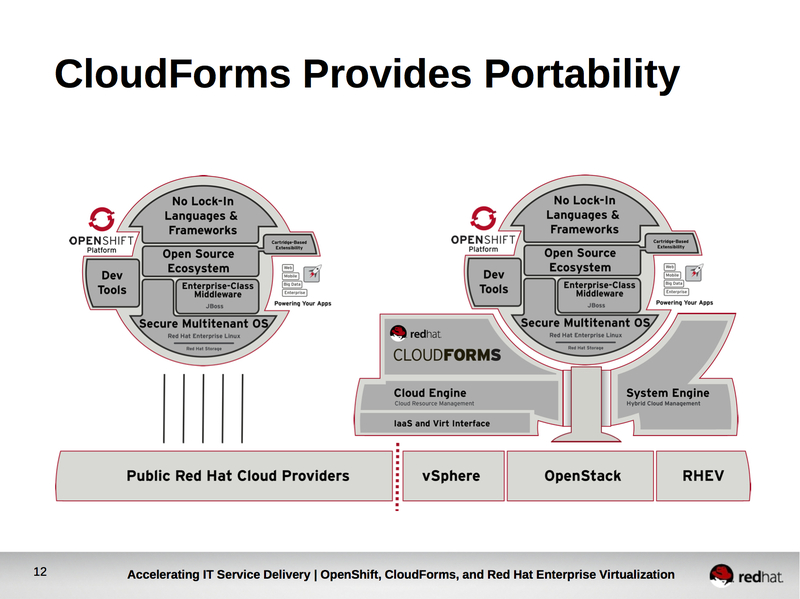 Red Hat CloudForms delivers these capabilities, allowing organization to deploy and manage OpenShift Enterprise across a wide range of infrastructure. It provides both cloud resource management by abstracting and decoupling underlying infrastructure providers from the end user and hybrid cloud management of Red Hat Enterprise Linux and the software installed within it. CloudForms focuses on three key areas that provide cloud resource management and hybrid cloud management of Red Hat Enterprise Linux and the software that runs upon it. First, it provides the ability to define a hybrid cloud consisting of one or more cloud resource providers. These can either be virtual infrastructure providers (For example, Red Hat Enterprise Virtualization) or public cloud providers (For example, Amazon EC2). CloudForms understands how to build operating systems instances for these providers, so system administrators don’t need to understand the different processes for each provider, which often differ greatly. 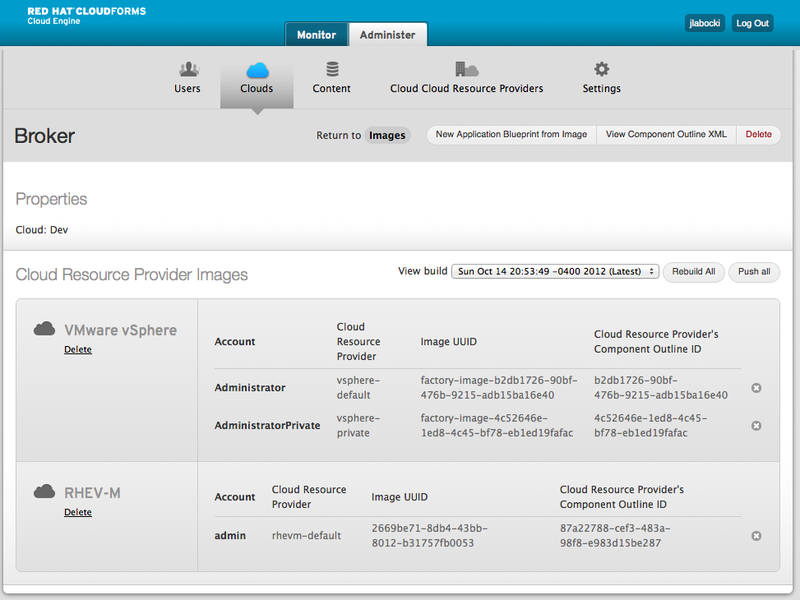 CloudForms communicates with the various cloud resource providers via the Deltacloud API. Second, it allows for the definition and lifecycle management of Application Blueprints. Application Blueprints are re-usable descriptions of applications, including the operating systems, additional software, and actions that need to be performed to configure that software. In defining a single application blueprint a CloudForms administrator could deploy an application to the cloud resource provider of their choice. CloudForms will manage launching the correct instances and configuring the software as required, even if the topologies and properties of each cloud resource provider are different. Third, CloudForms allows for self-service deployment of the defined Application Blueprints based on policy and permissions. 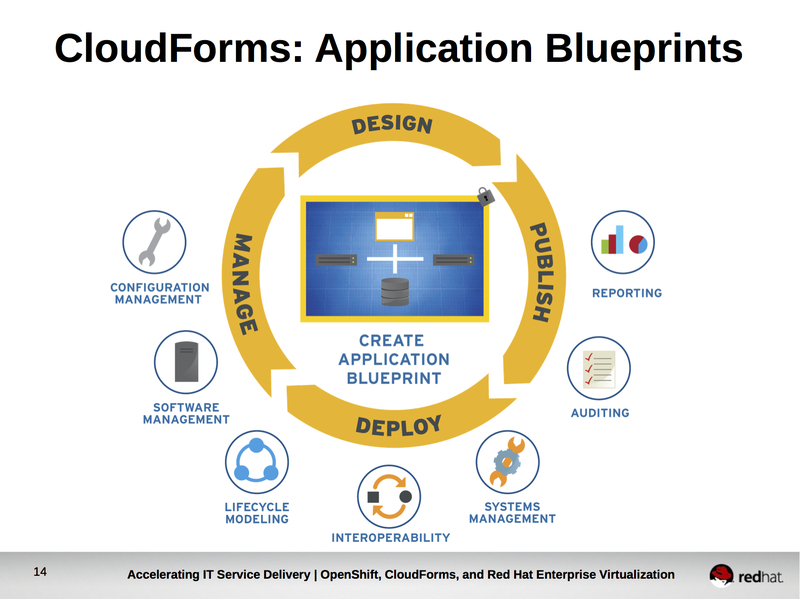 CloudForms users can select the Application Blueprint from a catalog, provide user defined input that was designed into the Application Blueprint, and launch it. Upon launch they can begin using their application. 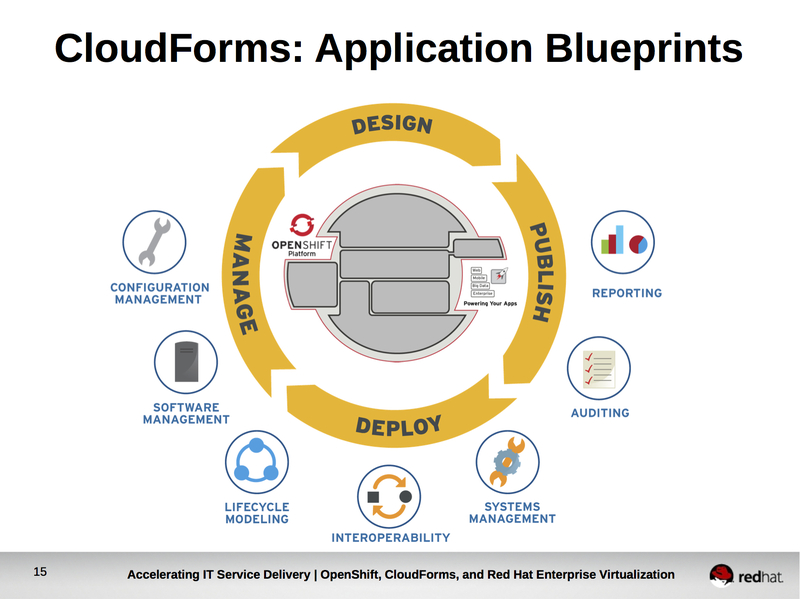 Organizations that want to achieve flexibility, consistency, automation, and management of OpenShift Enterprise can use CloudForms to create an Application Blueprint for OpenShift Enterprise. 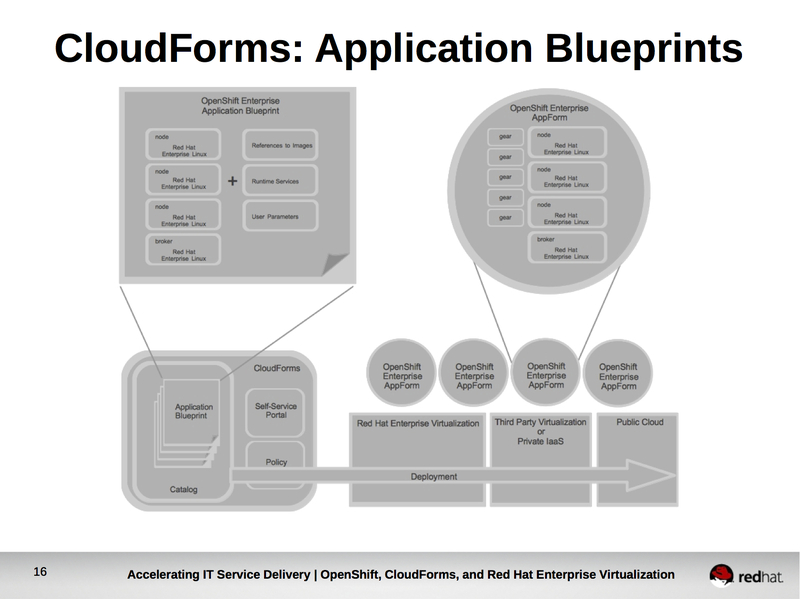 Upon defining an Application Blueprint for OpenShift Enterprise within CloudForms, OpenShift Enterprise Administrators would be permitted to deploy, via self-service, new OpenShift Enterprise AppForms (running OpenShift Enterprise Deployments) to their choice of cloud resource provider based on the policy set forth in CloudForms. 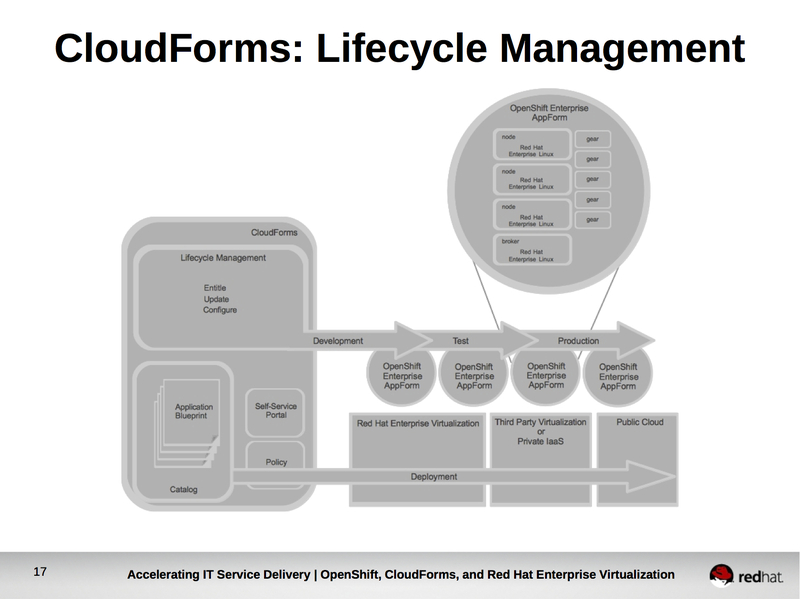 Upon deployment of the OpenShift Enterprise AppForm, instances comprising the AppForm would automatically register to CloudForms for ongoing lifecycle management. Ongoing lifecycle management provides organizations the ability to update underlying instances of Red Hat Enterprise Linux in a manner in line with their defined processes. It also allows organizations to control which cartridges (languages and frameworks) are installed on which OpenShift Enterprise deployments. For example, the OpenShift Enterprise AppForm in the development Application Lifecycle Environment may have all cartridges installed, while OpenShift Enterprise AppForms in the Test and Production Application Lifecycle Environments only have organizationally approved cartridges (maybe python, java, php) installed. If you’d like to see the benefits of using CloudForms to deploy and manage OpenShift Enterprise, read my earlier post which includes a video demonstration. The combination of Red Hat Enterprise Virtualization, OpenShift Enterprise, and Red Hat CloudForms allows organizations to accelerate IT service delivery while increasing flexibility and consistency, and providing the automation and management enterprises require. The slides used in this post are available in PDF format here. I’m lucky enough to still spend a large portion of my time actually speaking with customers. Conversations with customers are invaluable and always leave me with new perspectives. Of course, we talk about cloud computing, but occasionally the conversation will switch to the topic of big data. More often then not, customers big data strategies include Hadoop, a framework for running applications on large clusters built of commodity hardware. 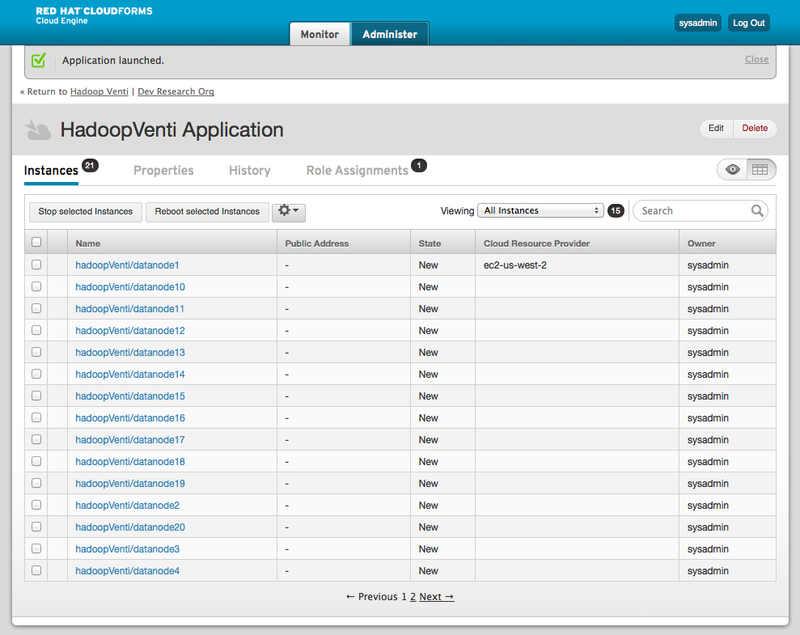 The Hadoop framework transparently provides applications both reliability and data motion. 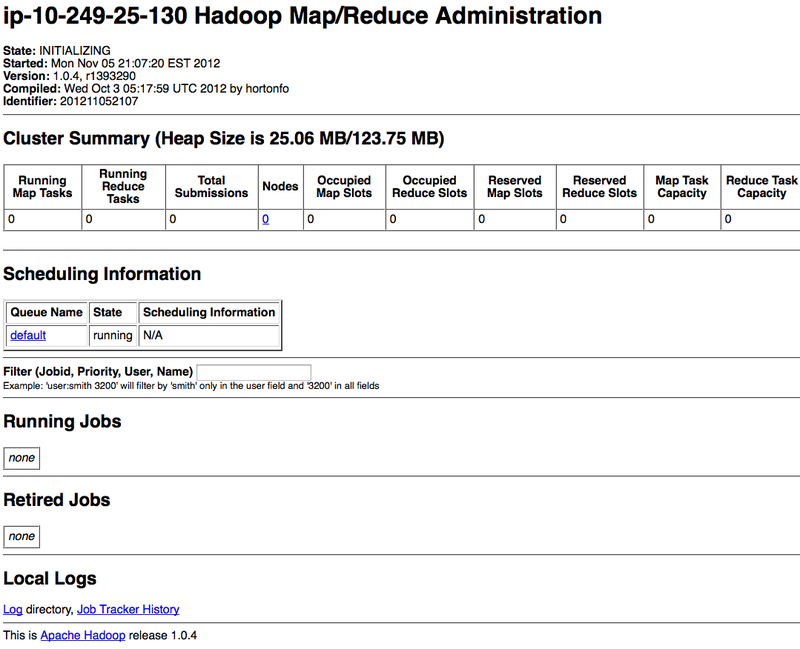 Hadoop implements a computational paradigm named Map/Reduce, where the application is divided into many small fragments of work, each of which may be executed or re-executed on any node in the cluster. In addition, it provides a distributed file system (HDFS) that stores data on the compute nodes, providing very high aggregate bandwidth across the cluster. Both MapReduce and the Hadoop Distributed File System are designed so that node failures are automatically handled by the framework . Companies like Google, Yahoo, Hulu, Adobe, Spotify, and Facebook are to some extent, powered by Hadoop . Customers understand the success these companies have experienced due to their effective handling of big data and want to know how they can use Hadoop to replicate that success. Of course, this conversation about big data and Hadoop usually happens after we’ve already discussed Red Hat’s Open Hybrid Cloud vision and philosophy. It’s only natural, then, that they ask how Red Hat’s Open Hybrid Cloud can help them gain the benefits of Hadoop within the constraints of their existing IT infrastructure. Since I’ve had the conversation several times and it usually ends at the whiteboard, I thought it might be useful to sit down and actually show the unique way in which Red Hat’s Open Hybrid Cloud philosophy can be applied to adopting Hadoop. While I’ll be writing about Hadoop, this problem is not unique – it is often faced anytime developers go beyond that which enterprise IT can provide. Good developers want to develop, great developers want to solve problems. For this reason, great developers often adopt technology early for the ways in which it allows them to solve problems that they couldn’t solve with existing technology. Take the scenario of developers adopting Hadoop. They might go out to their public cloud of choice and request a few instances and deploy Hadoop. Of course, deploying Hadoop is not always straightforward and requires some system administration skills. In this case, the developer might use a stack provisioning tool within the public cloud (such as AWS CloudFormations) to launch a pre-configured stack. 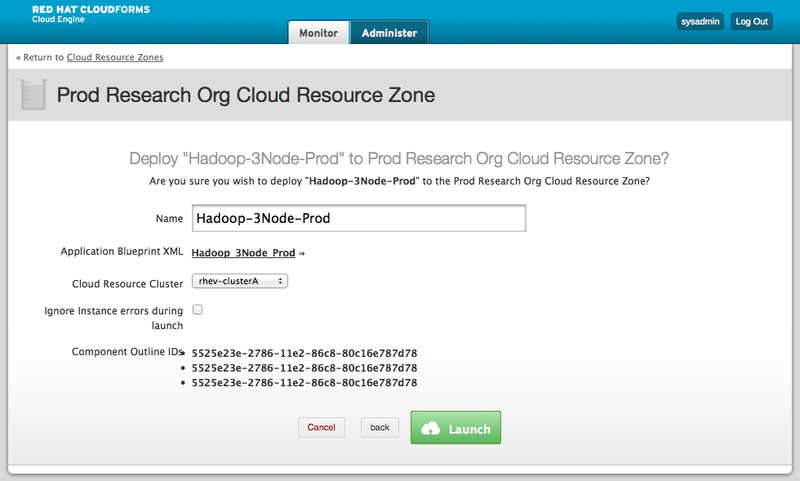 Once Hadoop is running the developer starts developing. Once development is complete, the developer sends a message to the system administrator letting them know that the new application is ready to go (we’ll skip change control, Quality Assurance, etc for simplicity). He provides his application code in the form of a package to the system administrator. The system administrator launches the corporate standard build on his virtual infrastructure or IaaS cloud in order to deploy the package the developer provided. There is no simple way to bring the pre-configured stacks or instances from the public cloud into the enterprise datacenter. The instances in the public cloud were launched based on the configurations of the developer or whoever developed the stack. This is most likely not compliant with the standard build required by the organization for security or compliance reasons (think PCI, HIPAA, DISA STIG). Even if the developer documented how to setup Hadoop thoroughly it causes the introduction of another manual step in the process, increasing the likelihood of human error. 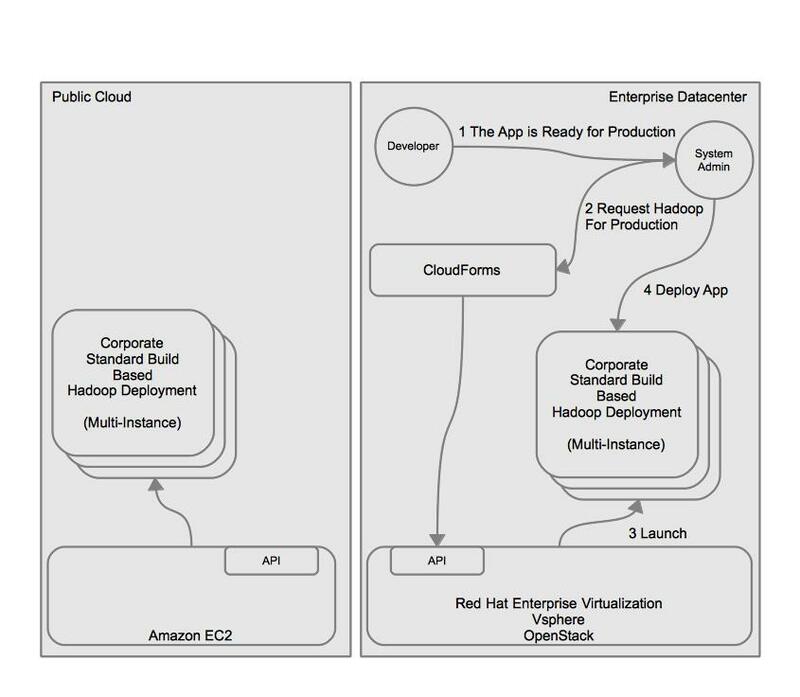 The corporate standard build within the enterprise datacenter may vary greatly from the builds in the public cloud. This increases the chances of issues of incompatibility between the application and the infrastructure hosting it. Red Hat’s Open Hybrid Cloud approach can help solve these problems through the use of CloudForms which is based on the open source projects of Aeolus and Katello. CloudForms allows organizations to deploy and manage applications to multiple locations and infrastructure types based on a single application template and policy—maximizing flexibility while simplifying management. The image below provides an overview of how CloudForms changes the way in which Developers and System Administrators work together to achieve speed while maintaining control. Note that CloudForms can also be used to provide quotas, priorities, and other functions to the consumption of resources by developers. We’ll leave those topics for another post. Lets look at how CloudForms can solve this problem. The system administrator defines an application blueprint for Hadoop. This application blueprint is based on the corporate standard build and is portable across multiple cloud resource providers, such as Red Hat Enterprise Virtualziation (RHEV), VMware vSphere, and Amazon EC2. The system administrator places it in the appropriate catalog and allows access to the catalog by the developers. The developer requests the application blueprint be launched into the Development cloud. 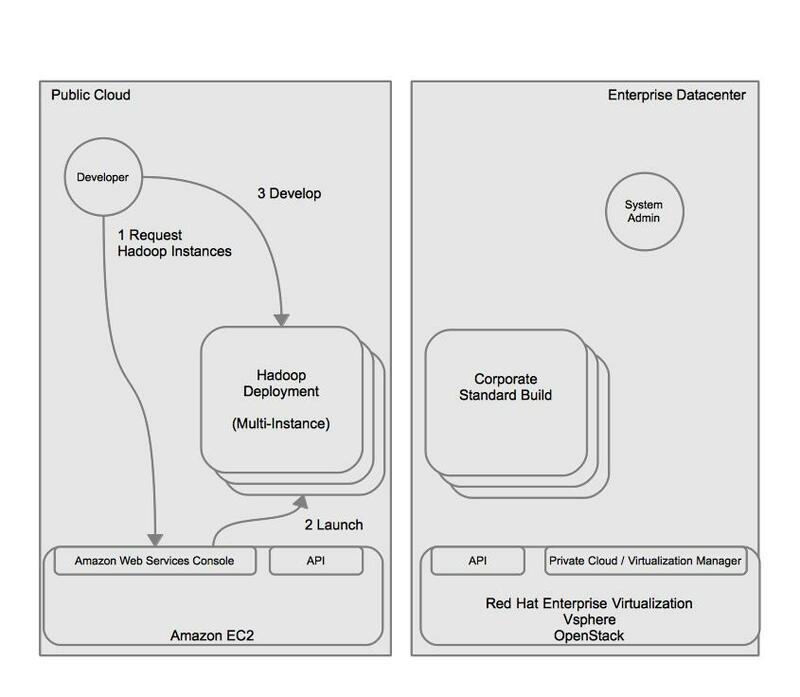 Since the system administrator defined the development cloud and added the a public cloud (Amazon EC2) as a cloud resource provider, CloudForms orchestrates the launch of the Hadoop application blueprint on the public cloud and returns information on how to connect to the instances comprising the running application. The developer begins development, the same way they did previously. The key takeaway is that developers experience is the same. They simply request and begin working. In fact, if the pre-configured application stacks in the public cloud provider didn’t yet exist the developers experience will have improved because the CloudForms, using the application blueprint’s services, handled all the complex steps to configure Hadoop. In the previous scenario, when the developer sends a message to the system administrator that the application is ready for production the system administrator has to go through the cumbersome task of configuring Hadoop from scratch. This would likely include asking the developer questions such as “What version of the operating system are you running? Is SELinux running? What are the firewall rules?”. To which the developer might have likely respond, “SELinux? Firewall? Ummm … I think it’s Linux”. Now, with CloudForms and an Application Blueprint defined, the system administrator can request the same application blueprint be launched to the on-premise enterprise datacenter. With just a few clicks the same known quantity is running on-premise. The system administrator can now be certain that the development and production platforms are the same. Even better, the launched instances in both the public cloud and on-premise register with CloudForms for ongoing lifecycle management, ensuring the instances stay compliant. There is another benefit that might not be immediately apparent in this use case. By moving self-service to CloudForms the developers user experience has been decoupled from that of the resource provider. This means that if Enterprise IT wanted to shift development workload to another public cloud in the future, or move it on-premise, they could do so without the developers experience changing. Want to see it in action? I spent a bit of time creating an application blueprint for Hadoop. You can find the blueprint, services, and scripts at GitHub. Here we go. Let’s imagine a developer would like to begin development of a new application using Hadoop. They simply point their web browser to the CloudForms self-service portal and log in. Once in the self-service portal they select the catalog that has been assigned to them by the CloudForms administrator (likely the system administrator), provide a unique name for their application, and launch. 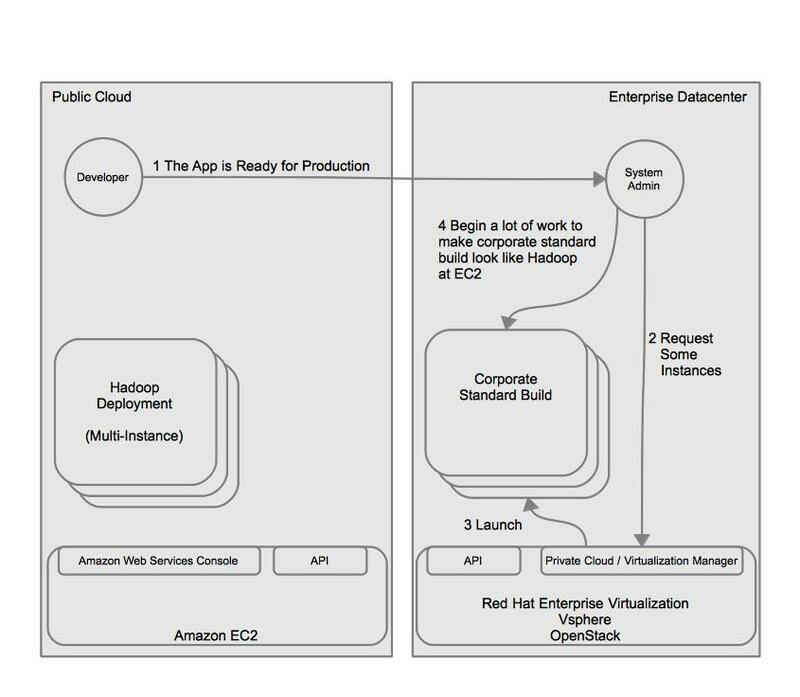 Within a minute or two (with EC2, often less) they receive a view of the 3 instances running that comprise their Hadoop development environment. And off the developer can go. They can download their key and log into their instance. 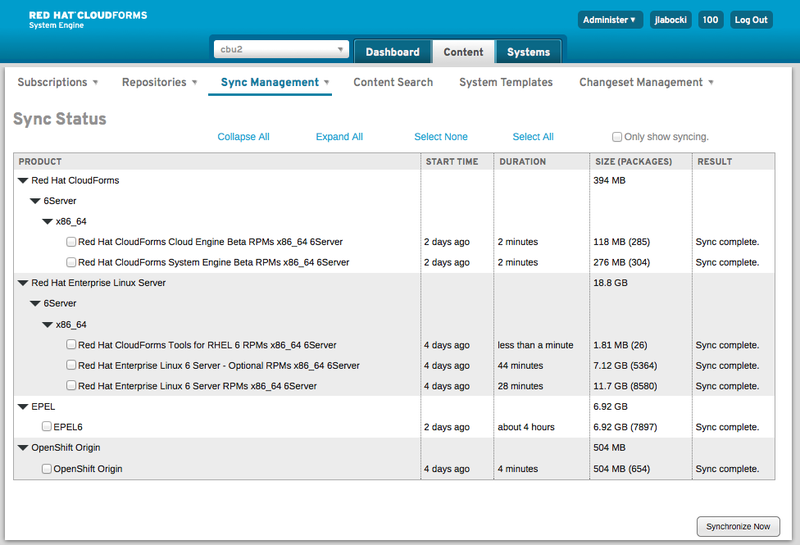 CloudForms even started all the services for them, take a look at the jobtracker and DFS health screens below from Hadoop. Now, if you recall when the developer logged in to CloudForms only the development cloud was available. This was because the CloudForms administrator limited the clouds and catalogs the developer could use. Once the application is ready to move to production, however, the system administrator can log in and launch the same application blueprint to the production cloud. In this case, the production is running on Red Hat Enterprise Virtualization. An important concept to grasp is that CloudForms is maintaining the images at the providers and keeping track of which component outline maps to which image. This means the system administrator could update his image for the underlying Hadoop virtual machines (aka instances) without having to throw away the application blueprint and start all over. This makes the life-cycle sustainable, something system administrators will really appreciate. Also, if the system administrator wanted to change the instance sizes to offer smaller or larger instances or increase the number of instances in the hadoop environment they could do so with a few simple clicks and keystrokes. 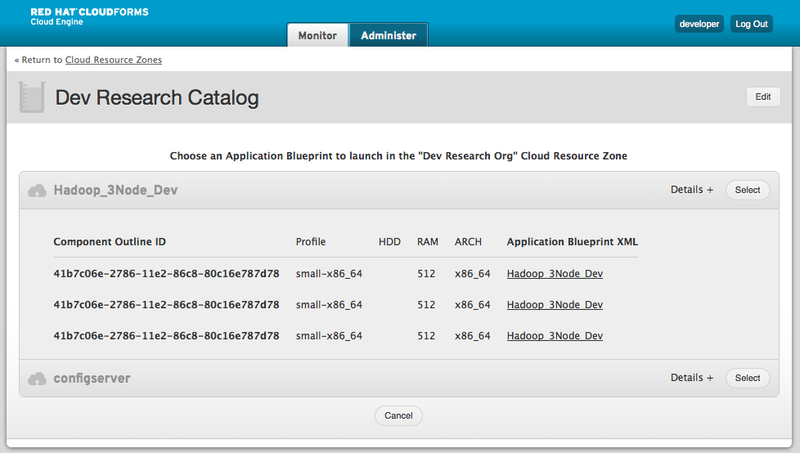 So there you have it, consistent Hadoop deployments via application blueprints in CloudForms. Now, if you’d like to take things one step further, check out Matt Farrellee’s project which integrates hadoop with condor. This being my initial post I thought it would only be appropriate to do something a little daring. I decided to tinker with the idea of building an Open Hybrid PaaS. Before you read on, you should be warned, this is NOT a supported use case and a lot of other problems remain to be solved before this concept becomes a reality. Nonetheless, it’s always fun to see what technology can do, and if we don’t tinker we’ll never drive vision to reality. Before we begin, here are a list of projects and products that were used in this post. 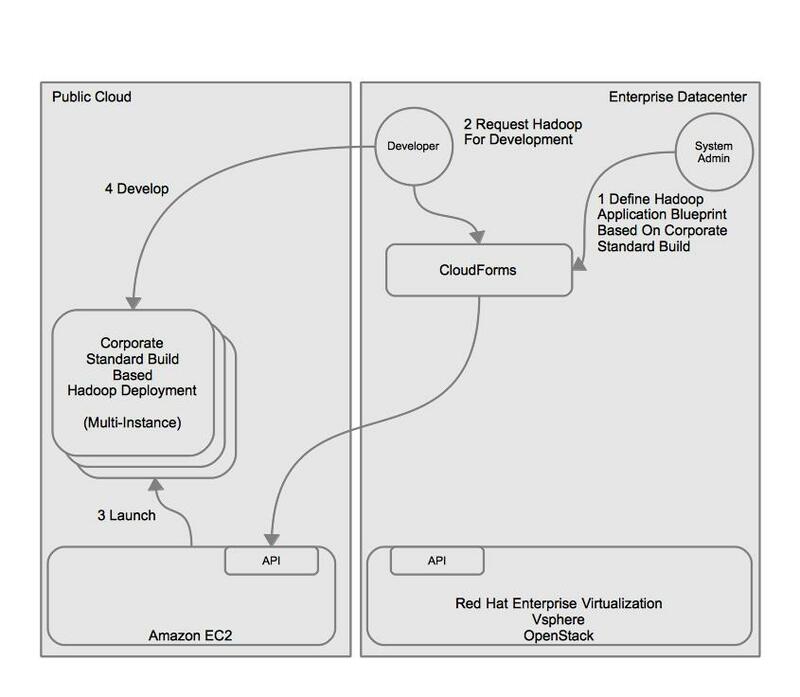 The diagram above is from OpenShift Origin’s Build Your Own PaaS page which is an amazing resource for deploying OpenShift Origin and understanding the architecture of OpenShift Origin. 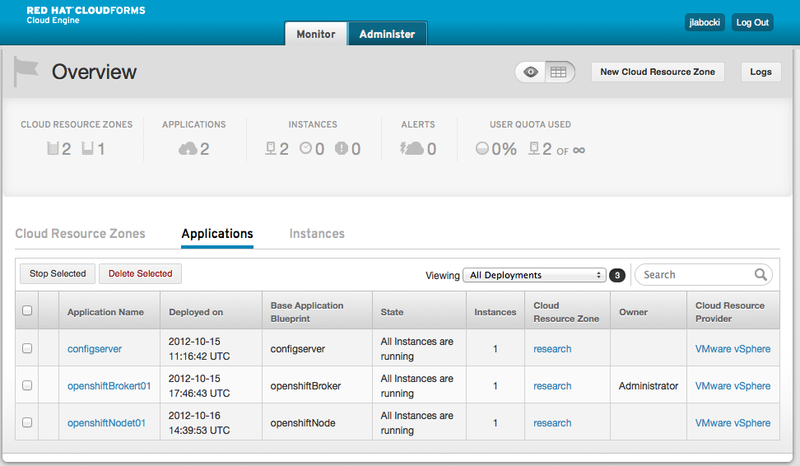 OpenShift Origin enables you to create, deploy and manage applications within the cloud. It provides disk space, CPU resources, memory, network connectivity, and an Apache or JBoss server. Depending on the type of application being deployed, a template file system layout is provided (for example, PHP, Python, and Ruby/Rails). It also manages a limited DNS for the application . Why do I need to flexibly provision nodes if my PaaS already scales? It’s understandable to ask why a provisioning methodology is needed for OpenShift Origin. After all, OpenShift Origin can spin up gears inside a node to meet capacity. The problem is that OpenShift scales gears, but does not scale nodes, which are the container in which the gears run. 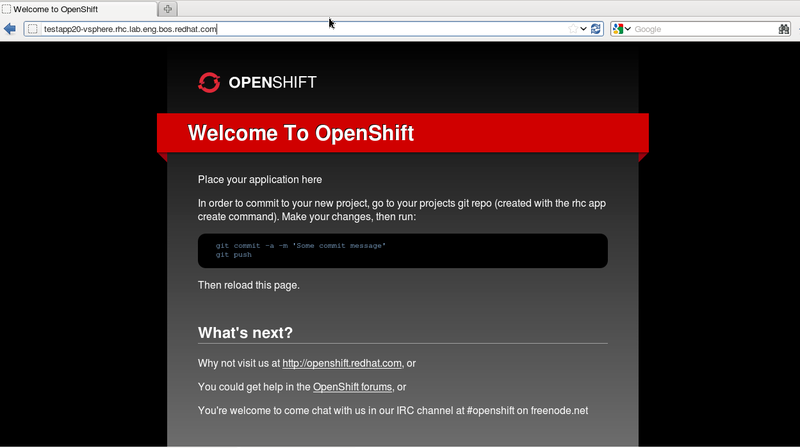 Essentially, if OpenShift Origin runs out of nodes you are out of luck. 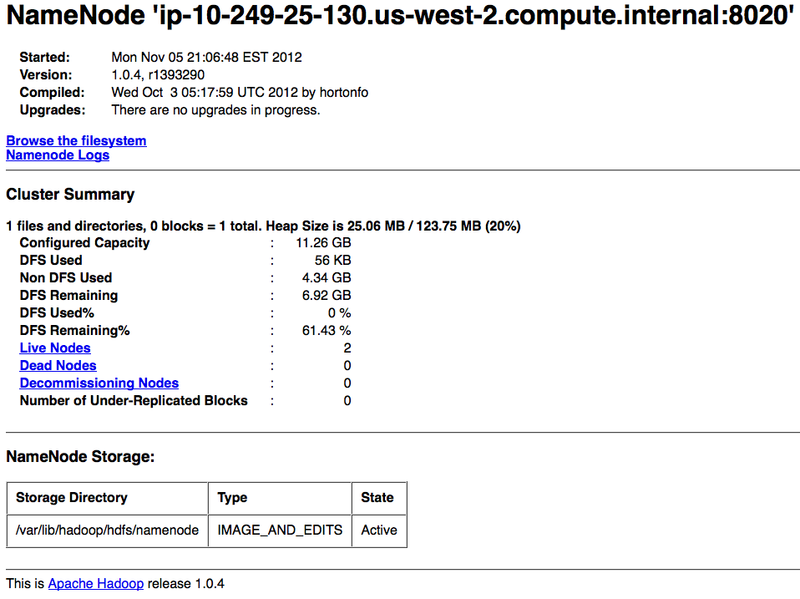 Of course, in most cases it’s probably good enough to monitor the PaaS and provision nodes as capacity dictates. We, however, are nerds, and we don’t want to have any manual actions (eventually). Beyond scaling nodes, the open source technologies of Katello, Aeolus, and OpenShift Origin provide users a means by which they can build a PaaS that spans multiple virtualization providers, including public clouds. This post demonstrates how a PaaS was deployed to VMware vSphere via Aeolus and Katello and then with a few clicks the same deployment was deployed on RHEV. While Amazon EC2 was outside of the scope of this exercise, I don’t see any reason why we couldn’t also run in EC2 with a few more clicks. The portability provided by the combination of these three projects is extremely valuable to organizations who wish to avoid vendor lock-in and choose the infrastructure they run on while utlizing a PaaS. Here is a simple diagram that illustrates the possibilities these projects bring to the table when used together. Note that Katello will utilize Foreman to support bare metal installations and Aeolus can create nodes or brokers. What would be really useful is if OpenShift Origin were able to request more resources from Aeolus or Katello and Aeolus or Katello could orchestrate the request based on the capacity and importance of other workloads running on either virtualization providers, physical hardware, or public cloud providers. This is probably a good topic for another post. Let’s move on before I get too far off course. In this scenario I’m demonstrating how Katello and Aeolus can compliment OpenShift Origin to provide a consistent implementation of OpenShift Origin across multiple virtualization providers. It is probably a good idea to provide an overview of a few of the objects used in Katello and Aeolus. System Template/Component Outline – An XML description of a system, including the operating system it is built from and any other packages to be included. Image – A binary form of the system template that can be run in a specific virtualization or cloud provider. We take the system template and run it through an installation process to create a virtual machine image for the correct provider (qcow, ami, vmdk). Application Blueprint – Once we have images based on system templates built we can create an application blueprint which references one or many images. We can also add services (see below) and apply hardware profiles to the images. Services – These are actions we would like to execute on the images when they are launched. 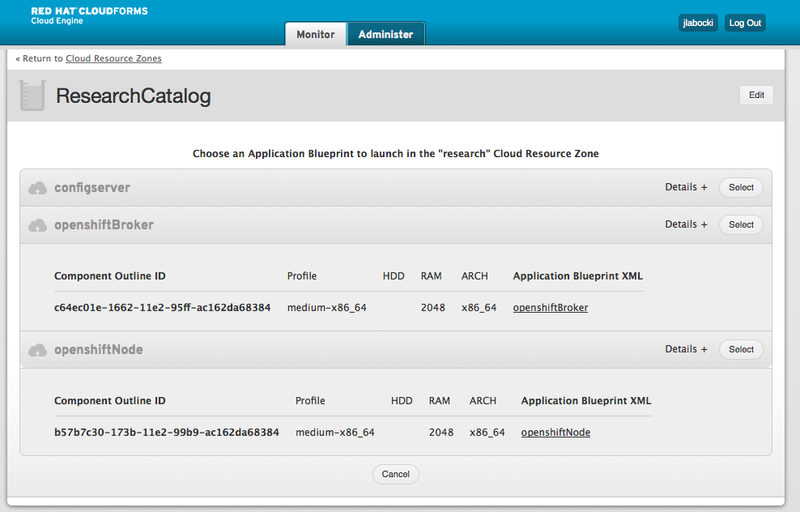 They are included in the application blueprint and can take parameters as input. Katello is here to help you take control of your software and your systems in an easy-to-use and scalable manner. Offering a modern web user interface and API, Katello can pull content from remote repositories into isolated environments, make subscriptions management easier and provide provisioning at scale . Basically, its really good systems life-cycle management. Using Katello, I mirrored the following repositories into my environment. Aeolus is a single, consistent set of tools to build and manage organized groups of virtual machines across clouds . Within Aeolus I configured both a Red Hat Enterprise Virtualization Provider as well as VMware vSphere cloud resource provider. It should be noted that I did not have access to delegate my DNS zone with our corporate IT department, so I created a private non-routable network for my virtual machines where I controlled both DNS and DHCP. This is where everything OpenShift Origin existed. After setting up the cloud resource providers I imported my OpenShift Node and OpenShift Broker system templates and built images for both RHEV and vSphere. The concept of having both descriptions of my builds and then provider specific images is important. It allows operations focused staff to control the content in the build more sustainably. As soon as I update my description Aeolus can take the description and manage the generation of the images for all providers. Since my application blueprints reference images that are maintained by Aeolus I don’t impact my self-service users when making changes to my descriptions. Pretty snazzy. 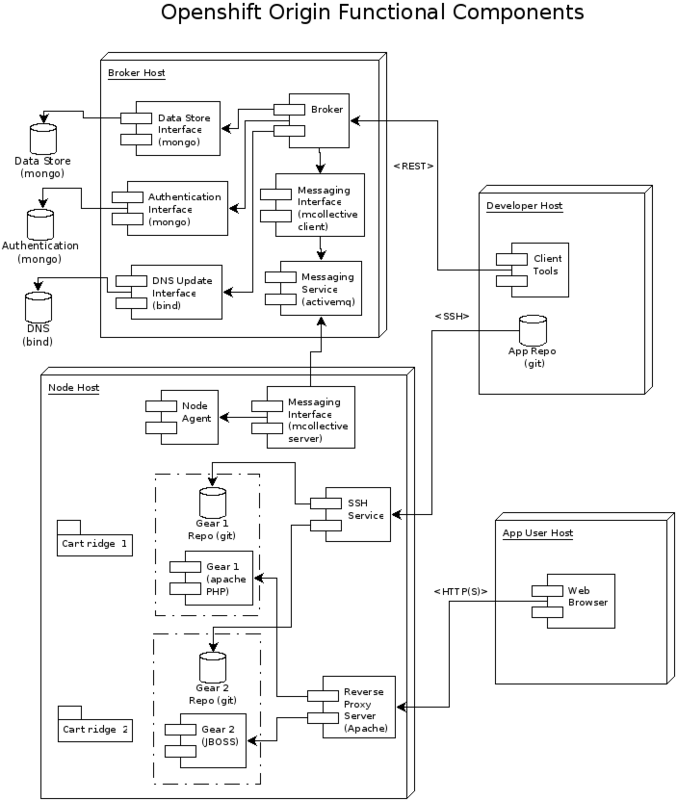 Once the images were built I created a simple application blueprint which contained the images. I deployed the application blueprint and then began walking through the steps on the Build Your Own wiki page and translating them into a script that could be included as part of a service in the blueprints. It took a lot of tweaking, deploying, testing, and tweaking some more to get everything working properly, but in the end I have application blueprints which I can deploy via Aeolus to VMware vSphere which will provide me with a working OpenShift Origin environment. 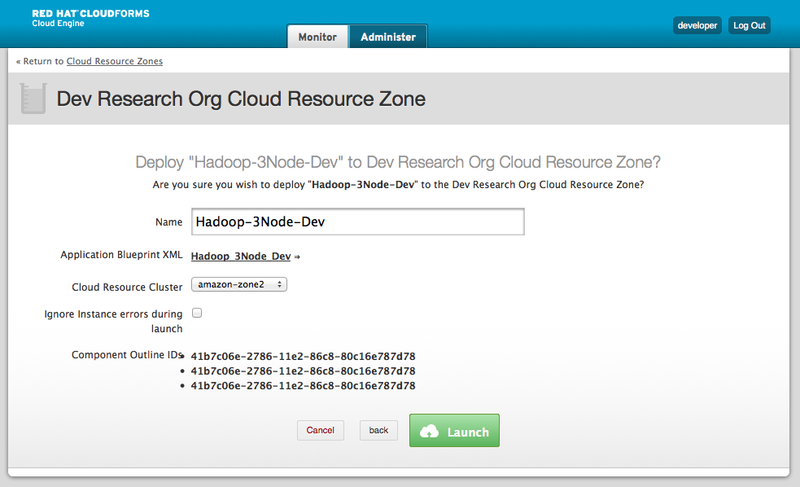 Once I had a working environment I could use the OpenShift origin tools (rhc) to create a new domain and then create an application. Voila! My application is running. I can now make changes and git push to update my application. I had tested, tested, and tested some more across a single provider. Once I was able to deploy an OpenShift Broker and OpenShift Node and was able to run the rhc toolset to create an application I considered my deployment a success. Next it was time to take my deployment from VMware to RHEV. Since Aeolus abstracts the differences between VMware and RHEV, I should be able to deploy the same application blueprint, changing the cloud resource cluster from VMware to RHEV and have the OpenShift Origin PaaS running on RHEV. 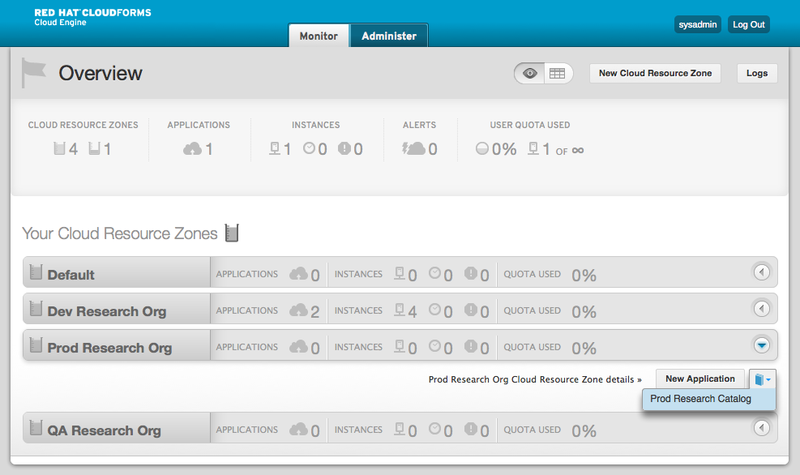 Now I can easily move my PaaS between virtualization providers. Think of the negotiating power I’ll have come renewal time! 😉 I could also continue to deploy the OpenShift Node Application Blueprint to scale my OpenShift Origin installation at the node layer. I started a github repository which includes the application blueprints along with instructions on how you can use them. Contributions are welcome and appreciated. I plan on keeping all the work I do around application blueprints, services, and scripts in that repository. The combination of Aeolus, Katello, and OpenShift Origin have the potential to let organizations realize an Open Hybrid Cloud. Katello provides re-usability of system templates, ongoing management of deployed systems (updates), and will soon allow for physical system provisioning and configuration management via puppet and foreman. Aeolus gives organizations a way to take those re-usable system templates and create rich application blueprints that reside in a catalog and can be provisioned to multiple providers through a single self-service portal. OpenShift Origin is an amazingly elegant open source PaaS which is built on the proven Red Hat Enterprise Linux operating system. By using these technologies together organization can realize unsurpassed flexibility, agility, and sustainability. How can OpenShift Origin call an external system to request more nodes? How can I launch an application blueprint in Aeolus from an external system? What orchestrates the scaling? Ideally it should be a system that understands scalability at all levels (physical server, virtual machines/nodes, and gears)? Aeolus and Katello don’t understand scaling gears, OpenShift Origin doesn’t understand scaling physical or virtual machines/nodes. How can services, images, and application blueprints be made easier to share between instances of Aeolus and Katello?